Whether you're preparing for the responsibility or are in the midst of caring for an aging loved one, this complete guide from Focus on the Family provides the practical information you need--and a spiritual and emotional lifeline. Topics covered include: burnout; physical, emotional, and mental changes in aging; medical, financial, and legal help; elder abuse; choosing a care facility; and end-of-life decisions. Caregivers and potential caregivers will also learn what the Bible says about caregiving and the keys to effectively fulfilling that role. True stories throughout the guide share common concerns and a sense of support from "those who have been there." An official book of the Focus on the Family Physician's Resource Council, comprised of 40 U.S. and Canadian physicians representing diverse medical expertise. The general editors for the book are Henry Holstege, Ph.D., Gerontology Professor, Calvin College; and Robert Riekse, Ed.D., Director, Calvin College& #150; Grand Rapids Community College Consortium on Aging. 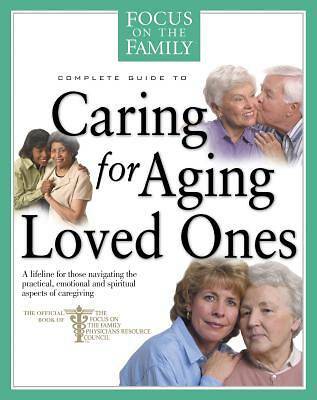 Here's what others are saying about Caring for Aging Loved Ones "What an awesome book What a great resource to be able to make available to caregivers. It addresses] such a growing need with the graying of America.